Shahida Farooq clearly remembers the day her militant father was taken away by government forces. It was on 1 December, 1992, that Farooq Ahmad Khan, was trapped in a cordon with another local resident, Mushtaq Ahmad Lone, near their Bandipora residence. Lone was released two years later, but Khan's family still doesn't know his whereabouts. They don't even know if he is dead or alive. In Kashmir, there are at least 1,000 youth who are reportedly missing since the last 28 years, ever since militancy started in 1989. 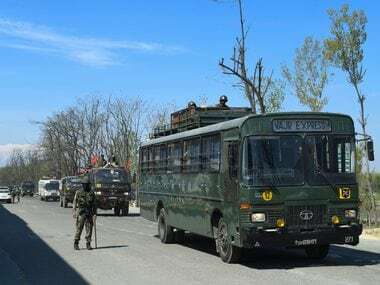 While many were taken away by the government forces for helping militants or being among the active cadre, many were even taken away despite having no links with the militant. Human rights groups have being fiercely protesting what they call "enforced disappearances" in Kashmir, and have also asked the government to set up an independent commission which will trace these men and punish those responsible for their "killings". Though government forces, particularly the army and the Central Reserve Police Force (CRPF), hold sweeping powers to detain and kill people, and even manage to escape trial in local courts, the families do get to know the cause of deaths. Shahida though still doesn't know if her father "got a bruial as per Islamic practice". "All I want to know is where is my father. Who has devoured him?" she asks. Last week, in a first of its kind admission, the state human rights commission (SHRC) revealed that the government had admitted there are many thousand "mass graves" all across Jammu and Kashmir, where the people buried are still unidentified. Such a list of mass graves was submitted to the commission after it took suo-moto notice of the issue. As human rights activists and families believe, this could end their searches for sons, brothers and fathers who have gone missing, and yield their bodies. As years have passed and successive governments of NC-Congress and now PDP-BJP have chosen not to look into the issue, the SHRC has ordered that the mass graves which have been identified need to be dug up and DNA samples of the deceased be matched with the families to find out who are buried in such graves. Such a directive is significant, as the SHRC has also asked the government to comply with the orders and file an action taken report in six months. Additional secretary (Home department), Shabi Hussain Keen, said that they will implement the SHRC directions in the shortest possible time. He said that they will also look into the reasons why demands by families and activists to probe the issue of mass graves were delayed by so long. 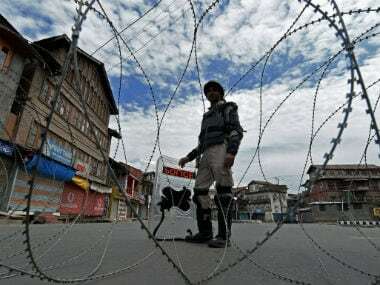 These directives could also unravel the mystery’ behind the disappearance of another youth, Shabir Ahmad Dar, from Srinagar. 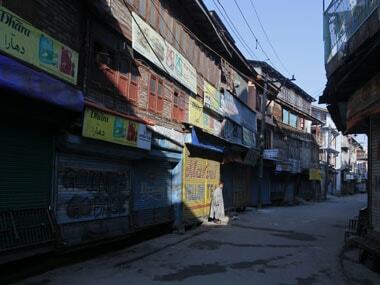 Shabir, his sister Mehnaz Jan said, left for work to sell a bale of clothes in the rural pockets of Kashmir one Friday in 2005 and never returned. The family has lodged a police case, but there is no trace of the 25-year-old. Human rights activist Mohammad Ahsan Untoo said there are more than 10,000 people who are missing and that it's "the responsibility of the government to tell their families what happened to them". "They have vanished. It is the responsibility of the government to unravel the truth and to give justice to families who are longing for that for years," he said. SHRC chairman, Justice Bilal Nazki, in a recent order, held that there are 2,080 unmarked graves in two districts of Rajouri and Poonch, and the government must go for their DNA sampling. 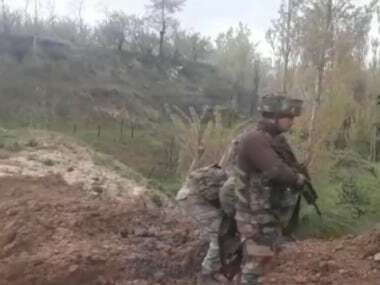 It has also noted that there are other unmarked graves in Bandipora, Baramulla and Kupwara in north Kashmir, where it again directed that the bodies be identified through DNA sampling. In response to pleas urging setting up of an independent probe body, the commission has also directed that an "independent duly representative body having due credibility be constituted to look into the matter. But Untoo said that the matter has been pending since 2011 and the government had also tried to "brush it under the carpet" earlier. Shahida said that the government has not approached the family for any DNA sampling and the earlier directive by the SHRC that her militant father be declared as "dead" and they be awarded compensation has not been followed through by the administration. "But we want to know where has my father gone. We know forces picked him up. I was young at that time, but we were thrown into an everlasting pall of gloom," she said. 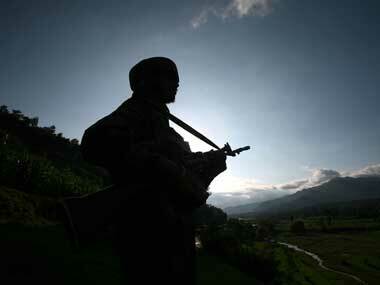 Untoo said that after the SHRC's investigation, they have identified 2,800 unmarked graves in north Kashmir. "The government must involve international human rights organisations like Amnesty International or ICRC and dig up the graves before them for an impartial inquiry," he said. Srinagar youth Shabir Ahmad Dar's sister Mehnaz Jan said that even as they approached the high court and got a case registered with the Rajbagh police station, that didn't yield anything. "Justice has always eluded us," she said.